Often referred to as a diesel pusher motorhome. The large diesel engine on this motorhome is located in the rear of the coach, which adds extra power and torque to the RV when compared to its gas powered counterpart. Having the engine in the rear also adds to the quietness and smoothness of the ride. The diesel engine essentially pushes the motorhome down the road. Class A diesel motorhomes are great for long trips, and cross-country adventures. In many instances they are the perfect RV for the full-time RV’er. The diesel engine usually lasts longer and is more durable than the gas engine on other Class A’s. Diesel motorhomes are the epitome of luxury RVing. 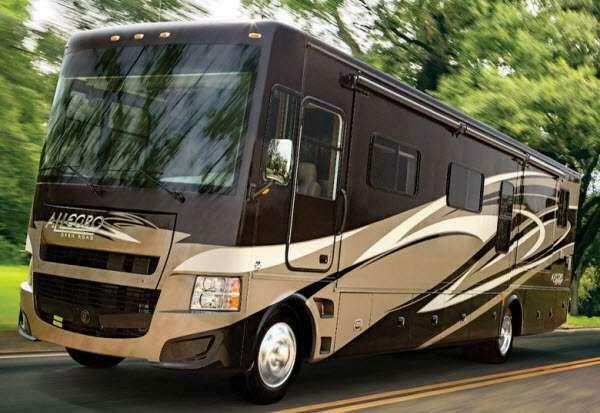 Class A gas motorhomes are a popular option for full-time or long-term RV’ers. Class A’s offer many of the comforts of home including residential full-sized furniture, slide-outs for added space, often times a residential refrigerator, and even potentially a washer and dryer (depending on the RV). Class A motorhomes resemble a bus, with a vertical front windshield with large windows. Travel trailers are quite possibly the most recognizable form of RV on the roads and in campgrounds today. 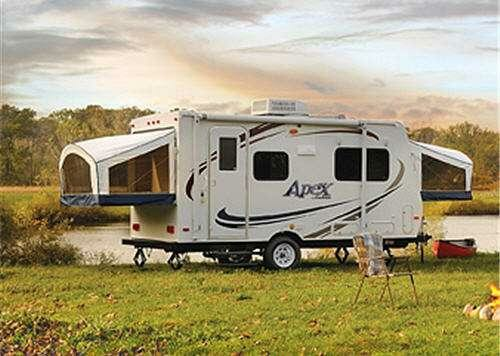 The Travel Trailer is also known by many as the “camper.” It is designed to be towed by a frame hitch. Travel trailers were designed with all types of RVers in mind. Multiple floor plans and styles are available to suite your every need. Travel trailers are favorites amongst RVers who enjoy the freedom of having a vehicle to enjoy their destination and a complete home unit wherever they are. Truck campers are in many ways the most versatile type of RV. These recreational vehicles are capable of going anywhere your pick-up truck would go. In fact they affix right to the back of a truck, over the truck bed. The truck camper has been around since the early 1950’s and features large ceiling heights and more slide-out rooms. Throughout the years the interiors have become much larger and more expansive than when they were first introduced. Toy Haulers are built to haul and accommodate all of your toys. They are perfect for those RVers who want to haul snowmobiles, ATV’s, four wheelers, or even motorcycles. Toy hauler RV’s have a large cargo garage in the rear of the RV and are available in travel trailer, fifth wheel, or even motorhome styles.